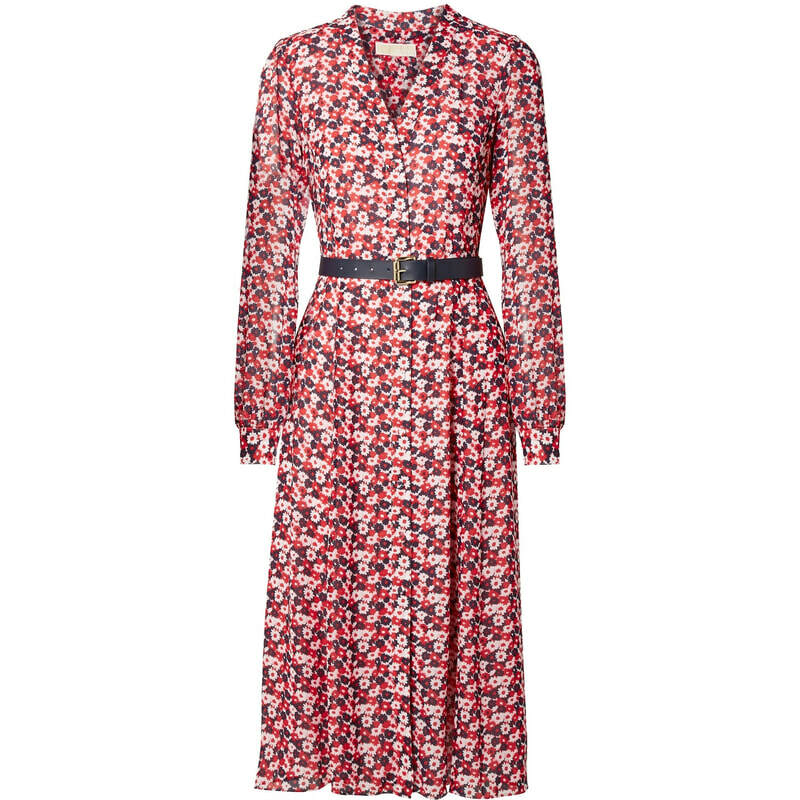 A shirtdress cast in breezy georgette with a vibrant carnation print. Midi-length hem with button-front fastening. STYLE FILE: MICHAEL Michael Kors Carnation Georgette Shirtdress as seen on Kate Middleton, The Duchess of Cambridge.